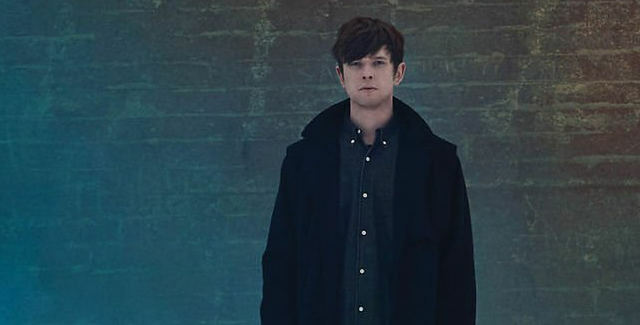 James Blake’s latest album, Overgrown, has been met with copious amounts of critical acclaim. Arguably one of the most anticipated events of Iowa City’s fall music calendar has finally arrived, as critically-hailed British singer-songwriter James Blake is set to play the Englert this Saturday at 8 p.m. — a show co-presented by Iowa City’s SCOPE Productions. Blake’s visit to Iowa City comes on the heels of an extremely successful year, including the release of his second full-length album, the subtly superb Overgrown, which was awarded the Mercury Prize last month, the UK’s annual award for the best English album of the year. With only two full-length releases to his name, Blake has already managed to carve his own niche within the contemporary charts, uniquely blending elements of soul and electronic music, two genres rarely seen in the same room as one another. Much like Frank Ocean did last year, Blake is helping bring the voice back to the forefront of modern music, allowing his deep and haunting vocals to drive many of his most prominent tracks. In fact, much of Blake’s catalogue refrains from growing too much past a simple piano-backing and equally softening rhythm and synth sections. ‘Inventive’ is a word thrown around quite a bit when describing Blake’s work; while this word certainly seems appropriate, Blake’s appeal may lie more so in his appreciation for contrast. Be it rap and soul, piano and dubstep, or quiet vocals and bass-heavy reverb, by taking musical tropes that normally form an antithesis and blending them in order to play off of one another, Blake has found his voice. In an age where Internet-fame often precedes any type of tangible success, artists often find it difficult to live up to the hype slung out by countless bloggers anytime a breath of fresh air pops up online. This threatened to be the case for Blake in 2010 after exploding onto the blogosphere after several remixes and single track releases had music writers celebrating the coming of genius. Rather than succumbing to the weight of these expectations, Blake rose to deliver a stunning eponymous album and an equally impressive sophomore effort in Overgrown. Having proven himself to be more than a momentary flash in the bottle, Blake is seemingly hitting his stride artistically and people are rightfully taking notice.